DESCRIPTION Rare opportunity to own this affordable 4-bedroom end unit townhouse. Ideal starter home for the investor or young family at steps to schools, parks, and public transportation. Upgrades include newer carpet, lino, bathroom vanities and toilets, light fixtures, NEST wifi thermostat, and fresh paint throughout. The main level boasts a large living room, galley kitchen with eating area and access to good sized private yard, separate dining room, and 2-piece bathroom. On the upper level you will find 4 spacious bedrooms, master with walk-in closet, and main 4-piece bathroom. The basement is wide open and unspoiled. Don’t miss out, book your private viewing today! Home for sale at 128 Pennsylvania RD Se Calgary, Alberts T2A 6R2. 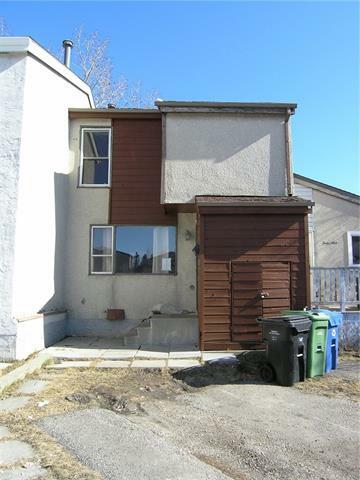 Description: The home at 128 Pennsylvania RD Se Calgary, Alberta T2A 6R2 with the MLS® Number C4225606 is currently listed at $194,000.